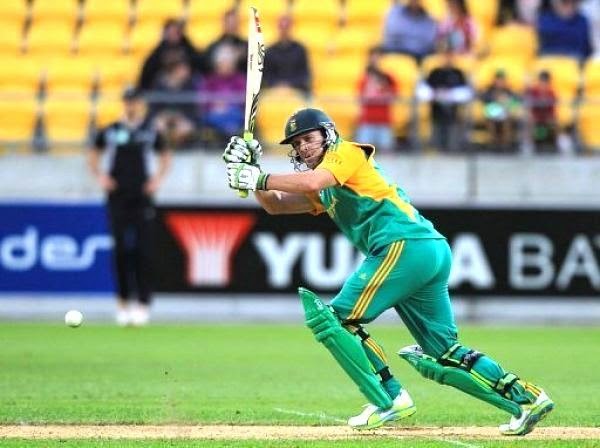 Cricket South Africa (CSA) today named the preparatory 30-man squad for the ICC Cricket World Cup 2015 as needed by the competition regulations. The last squad of 15 will be named in January. Mthokozisi Shezi, the left-arm medium quick bowler known for his heap varieties, has been given a chance on the over of fine exhibitions in local cricket. Andrew Puttick, who played his just ODI against New Zealand at Cape Town in 2005, is a shock incorporation. Veteran wicket-guardian batsman, Morne van Wyk, excessively has been picked in the preparatory squad. South Africa additionally have included Kagiso Rabada, the speedy bowler. By taking 6 for 25 in the Under-19 World Cup semi-last played against Australia in Dubai, the adolescent demonstrated sights of his capacity to bowl with great pace. Kyle Abbott, known for his capacity to bowl well at last overs, is another to watch out for. Any semblance of Rabada, Abbott, Chris Morris, Marchant de Lange, Shezi and Beuran Hendricks however, may think that it intense to make it into the last squad of 15. Dale Steyn, Morne Morkel, Wayne Parnell and Philander are relied upon to be chosen in the squad of 15. Abdominal muscle de Villiers, of course, has been named as the chief. Hashim Amla, Dale Steyn, Faf du Plessis, JP Duminy and Morne Morkel are a percentage of the other key players in the South African unit. It must be said however that Duminy has been battling with a knee damage and South Africa will trust that he can conquer the setback when the World Cup begins. Aaron Phangiso, Robin Peterson and Imran Tahir are the spinners included in the probables list. Tahir, with his googly, has ended up being a fine spinner for South Africa in Odis. Peterson and Phangiso vessel with fair control. Peterson is likewise a valuable lower-request batsmen. CWC preparatory squad: AB de Villiers (capt), Hashim Amla (bad habit capt), Kyle Abbott, Farhaan Behardien, Quinton de Kock, Marchant de Lange, JP Duminy, Faf du Plessis, Dean Elgar, Beuran Hendricks, Reeza Hendricks, Imran Tahir, Rory Kleinveldt, Ryan Mclaren, David Miller, Morne Morkel, Chris Morris, Justin Ontong, Wayne Parnell, Robin Peterson, Aaron Phangiso, Vernon Philander, Andrew Puttick, Kagiso Rabada, Rilee Rossouw, Mthokozisi Shezi, Dale Steyn, Lonwabo Tsotsobe, Morne van Wyk, David Wiese.